This week we were lucky enough to have The David Shepherd Wildlife Foundation (a Conservation Trust) come into school to tell us all about tigers. We learnt lots of tiger facts including a reminder that tigers are carnivores, and that tigers could be the weight of 14 children!! 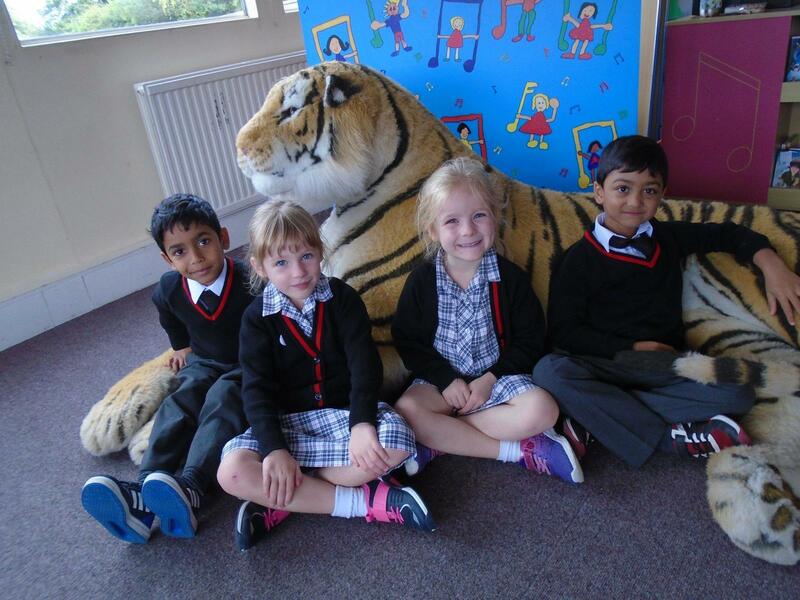 We were most impressed at the size of Augustus, a tiger Jo brought to school with her! The next time you come across a tiger, be sure to look at their whiskers; they will inform you of their mood!